Vacation is always bittersweet. It seems like once you're finally comfortable throwing your towels on the floor, it's time to go back home. Some people are ready to return home after one night's stay but nothing will make you wish you never left like bed bugs. Bed bugs mostly come out and feed at night so it's imperative you check hot-spots while there's enough light to see inside hiding spots. Franklin Pest Solutions knows that bed bug identification and prevention are the first steps of making sure that an issue on vacation does not turn into an infestation in your own home. Franklin Pest Solutions and the National Pest Management Association have put together these preventative tips to keep you, your luggage, and your home safe from pests that my try to travel back with you. Thoroughly inspect the entire room for bed bugs before unpacking, including behind the headboard under lights, and inside dressers, drawers, sofas and chairs. These pests like to hide in small cracks and crevices close to human environment. They can be found behind baseboards, wallpaper, upholstery and in furniture crevices. Again, knowing what bed bugs look like and how to identify bed bugs is the first step of prevention. Bed bugs reproduce quickly so it is very important to get professional help before your whole house is infested. 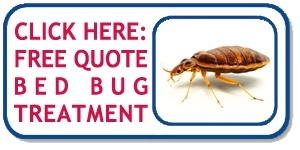 Franklin Pest Solutions has heated bed bug treatments for your home and your business. Use the buttons below for a free quote for your home or business. Keep in touch on social media to see what Indiana events we have coming up next, meet the crew and get professional answers for your pest questions in person. 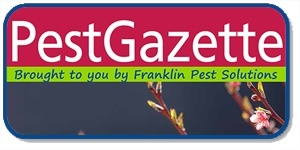 GET THE SPRING PEST GAZETTE!